Many companies are now investing more money into their logistics technology as a means of boosting productivity and efficiency, along with their bottom lines. And while that often increasingly veers toward advanced tech like augmented reality and brand new ERP systems that make use of the internet of things, it's also vital for companies to undergird those investments with other types of more common technology that can be adapted to use with these cutting-edge offerings. One of the big areas to which companies would be wise to pay a little more attention, even as they advance other aspects of their technological capabilities, is when it comes to NAV barcoding. Indeed, while barcoding in logistics has been around for many years, it's still in widespread use and could even continue to grow in years ahead as new ERP adoption picks up steam, according to Transparency Market Research. The reason for this is simple: These new platforms, which are designed to significantly reduce human error in the picking and packing processes, need a system over which to operate that will allow employees to identify and input data on the items they seek in massive warehouses. 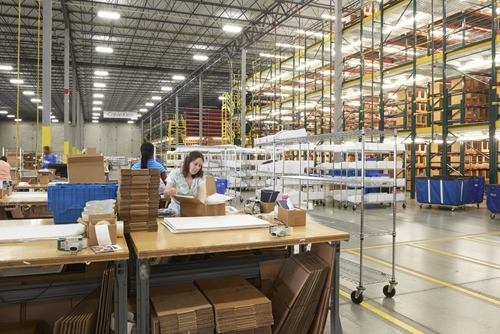 The ability of any company to simplify mobile data collection and increase physical inventory efficiency with barcoding has been clear enough for some time, and now coupling that capability with advanced ERP or even AR-based wearables brings greater power to read and react to real-time data culled from everywhere on the shop floor, according to IT Pro Portal. The ability to make any single step of the supply chain more efficient is, of course, vital to modern logistics firms, but IoT- and barcoding-based AR platforms might provide significant boosts across more than just one step. Many major companies that have a heavy interest in rapid turnarounds in logistics – from shipping companies to major retailers – are starting to invest in AR technology as a means of boosting their efficiency in the picking process within their warehouses, and even exploring the power of this technology outside those facilities as well. For instance, the international shipping titan DHL estimates that its delivery drivers spend as much as 60 percent of their time away from the warehouse away from their vehicles, for a number of reasons, but AR could help to reduce that time away by providing more information right in their lines of vision. However, when putting new systems that work with modern ERP into place, there are a few common mistakes many companies make, according to CIO Magazine. These include trying to forcefully adopt new technologies all at once, rather than implementing them more slowly over time. Slow but steady often wins the race here, simply because there are so many moving parts that hiccups are bound to arise. Dealing with them slowly over time, rather than all at once, can go a long way toward successful adoption. To that end, the more companies can do to make sure they properly launch these platforms, and everyone who will use them knows the best practices for putting them to good use, the easier the transition period will be when blending existing and brand new tech.